This year, a local running organization is taking Thanksgiving and the spirit of giving to a new level. The Busse Woods Running Club [BWRC], based out of Schaumburg, has won both categories in the American Turkey Tradition Running Festival, earning $5,000 to donate to a charity of its choice. “I’m so incredibly proud of our running family and their constant commitment to making a difference in our communities,” says BWRC founder Jim Kowalski. The first category BWRC won is the largest Turkey Team Competition. 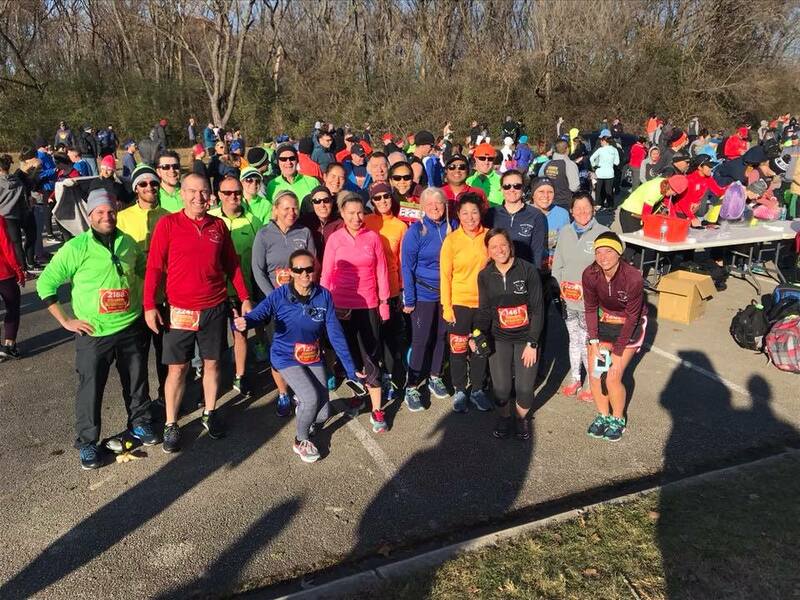 On Saturday, 120 runners will represent BWRC at the Schaumburg Turkey Trot Half Marathon & 5k, up from 35 who ran with club at the same event in 2017. BWRC also won the most votes – an impressive 3,817 votes – in a Facebook poll for the Best Turkey Team Name competition. Both competitions awarded $2,500 to the winner, bringing the club’s total winnings to $5,000. BWRC has announced it will donate the money to the Northwest Special Recreation Association, an organization in Rolling Meadows that promotes recreation for children and adults with disabilities. While this is a huge accomplishment for BWRC, it’s not the first time the local club has prioritized community and charity. In fact, Kowalski and his wife, Amanda, built the club around acceptance and inclusivity. Jim and Amanda were both actively involved in the Chicago Area Runners Association, serving as site coordinators for the Schaumburg summer marathon training for several years. 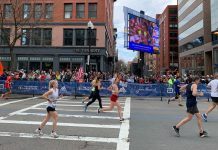 However, the couple noticed that come the end of fall marathon season, runners in the area did not have as many options for group running, and they wanted to fill that void. “There were a bunch of us who would run together beyond the 18-weeks of training year-round, so we got to the point where we decided to give ourselves an identity,” Jim explains. 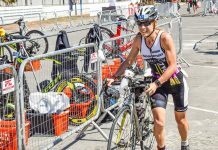 One of the most appealing aspects of BWRC is it’s free to join; Jim and Amanda have constantly reiterated the club as an all-inclusive outlet where people can feel welcome at any time, and not have to worry about a membership fee. This intrigued a lot of local runners, and as the club rapidly grew in size, the Kowalski’s realized they needed to become official. So, in January 2018, the Busse Woods Running Club became an official non-for-profit organization in Illinois. Runners still don’t have to pay anything to participate, but they do have to acknowledge a waiver for insurance purposes. After several months of both weekday and Saturday morning long runs, Jim and Amanda realized newer runners might be intimidated by the longer distances. So, they built a free Couch to 5k program. Fifty-four runners from 12 different communities met three times a week for eight weeks to train for the Salute 5K in May. Most of them were completely new runners, and come race day, there were BWRC members volunteering and cheering on the finishers. “It was one of the most rewarding experiences,” Jim says. The program will be an annual opportunity for BWRC, always working towards the Salute 5K in Arlington Heights, and always free. In just its first year alone, BWRC has definitely made an impact on the local community. Earlier this year, the club adopted the section of highway 72 that runs through Busse Woods. They also hosted a Breast Cancer Walk and raised money for the Breast Cancer Research Foundation in October. And, in addition to winning the American Turkey Tradition Running Festival, BWRC hosted a coat drive and will host a food drive to give back during the holiday season. Now, as Jim and Amanda start looking towards their second full year in BWRC, they have a lot of plans. They want to start working with local community centers and coaches to offer free strength and core classes for members, and there are talks of incorporating a youth program. They also want to have an official BWRC race one day. 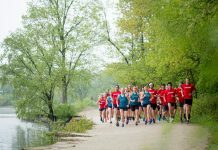 To learn more about or join the Busse Woods Running Club, visit www.busserunners.org. Once registered, the membership committee will reach out to welcome you, and learn more about you as a runner.